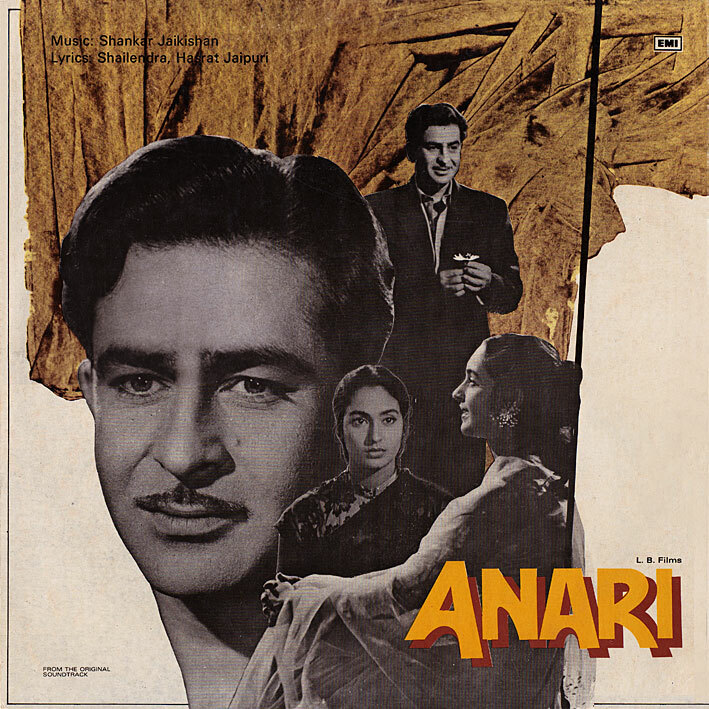 Vintage Shankar Jaikishan, 'Anari' [review]  is delightful as can be. Lovely melodies, chirpy choruses, lively accordions, romantic strings, bicycle bells, Lata Mangeshkar... hard to resist really. I believe 'Nineteen Fifty Six' is the famous one, and it's indeed wonderful. But so is 'Ban Ke Panchhi'. And 'Tera Jana'. And at the moment I can't think of anything sweeter than 'Dil Ki Nazar Se. When old-world Bollywood sounds this good, I can do without the funky stuff. No 1956, 1957 is not famous. It is Kisi Ki Muskarahaton Se. There is song in Shree 420 (1955) called "Mud Mud Ke Na Dekh" which is famous that this song is trying to duplicate. Famous in the sense that it features on at least a couple of modern day Bollywood compilations. A completely different question I am looking for the music of 'Talash' from 1969. I thought you had it before but can't find it anymore. Any suggestions? Talash will be posted in a week or so. 100 thanks PC!! You will make me a happy man!